Nevada is one of the three States in the USA with regulated online poker market. 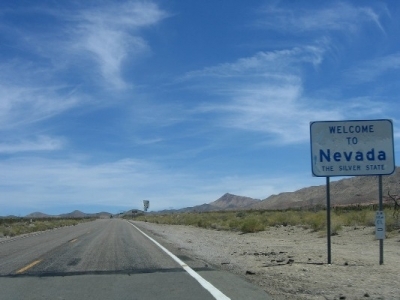 For a couple of months, Nevada has experienced straight online poker revenue drop. According to the September- report released by Nevada Gaming Control Board, its market showed a 6.7% drop in revenues to $ 693,000 compared to that of August. It fell by 8.9% compared to the same month last year. Worse, the Septembers result is the lowest ever recorded this year since the State published its first revenue-figures last February: August ($ 742,000), July ($ 985,000), June ($ 1,037,000), May ($ 862,000), April ($ 792,000), March ($ 926,000) and February ($ 824,000). Thanks to the recently concluded World Series of Poker, Nevadas ipoker market experienced significant increase as evidenced by the revenues of June and July. Many players came to Las Vegas to participate in the world poker championship; it was also a great opportunity for poker fans from neighboring states where online poker is not regulated yet. Speaking of land-based casinos, Nevada also recorded two months of consecutive decline in revenue. After Augusts 3.66% fall, the month of September showed a 5.96% drop to $ 901.7 million. Las Vegas Strip suffered the toughest fall with 12.12% to $ 494.9 million in September, while that of Downtown Las Vegas was down to 3.98% to $ 43.5 million the same month. On the southernmost tip of Nevada, in Clark County, things appear to be reasonably rosy with Laughin and its 3.92 % revenue increase, Boulder Strip with its 14.28 % up and Mesquites revenue increase of 1.19 %.